When Chicago record label Kranky opened their doors in the early ’90s, their propensity for deep, slow, fragile records was highlighted by now veteran acts like Labradford, Stars of the Lid, Godspeed You! Black Emperor, and Low. While bands like Nirvana, Smashing Pumpkins, and Superchunk were delivering guitar-heavy smashes, Kranky bands enveloped and mesmerized the listener, often with mellow, expressive electronics and strings. The venerable label celebrated its 20th anniversary with four nights in Chicago that span their considerable history, from recent signings like the wind-controlled synth mastermind Justin Walter to Kranky mainstays. After night one featured some of Chicago’s most mind-bending psychedelic acts (rockers Implodes and Disappears, the deep-droning Lichens), the second night of the celebration spread out and dove deep into the hypnotizing subtleties of their catalog, headlined by the musician behind one of the year’s most fascinating, dream-like records, Grouper. Entering the big, high-beamed, dimly lit Constellation Gallery felt like preparing for a play about music as much as it did for music itself, its mismatched seating and dark simplicity reminiscent of a black box theater. To prepare for the night to come, the speakers let out some low bass hums, shivering strings, and what could easily have been a constant chirruping of woodsy nightlife. When the aforementioned Walter and drummer Erik Hall took their places on the stage, that cricketing hum seemed to fade into the mix rather than give way. Walter’s instrument of choice is the electronic valve instrument, a sort of wind-controlled synth that, in the fade of the room, looked either like a ’60s-futuristic smelling tool or a robotic trunk. Walter would activate synth loops on his electronics, and then breathe through the instrument, pushing at buttons along its length and twisting a phone receiver-sized handle at its terminus. On his own, Walter’s thick, polyvalent compositions drifted and swayed majestically; when joined by Hall’s lock-tight grooves, the duo felt akin to Tortoise, but with a sort of platonic ideal of Kenny G burning through the invigorating mix’s middle. 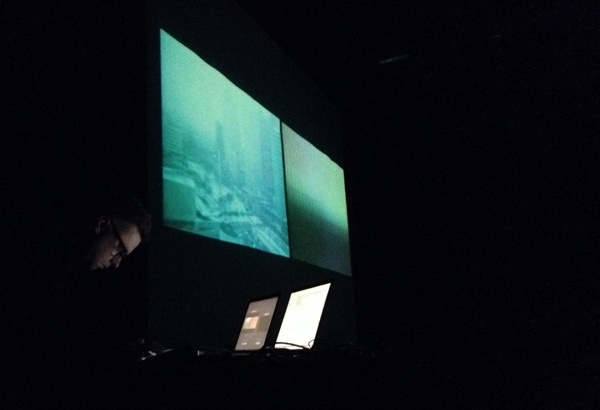 Canadian electronic musician Christopher Bissonnette followed, perched at one corner of the stage behind two laptops, a tablet, and a large mixer, letting an enormous projection screen dominate the center. Though he apparently keeps his live performances rare, the cinematic experience that unfolded showed no signs of rust. Bissonnette seemed to be controlling the video and audio simultaneously, impressionistic squares (occasionally blurred faces, other times rippling water, yet others drifting through nighttime traffic) paired with aching layers of electronic expanse. 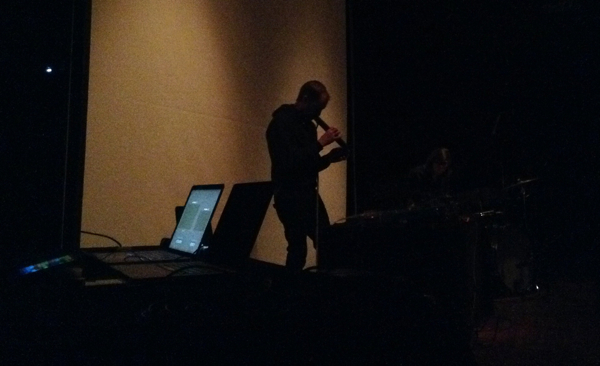 Though he stood behind a table of Apple electronics, the ping of an iPhone message alert in the audience felt exceedingly jarring amid Bissonnette’s organic, propulsive set. Once that set ended, the venue’s crew rolled the screen up, and Constellation transformed from seated theater space into a concert venue, a good proportion of the crowd rising from their seats to stand nearer the newly revealed stage. Thomas Meluch (musically known as Benoit Pioulard) took that spot gladly, opening his set with a long wash of bowed guitar complemented by plinking pizzicato hail. His simple, thrilling songs followed that pastoral bent, Meluch frequently singing about hills, trees, and soaring emotions over soft, easy expanses of layered guitar. “Let’s build an empire and see how it ends,” he intoned at one point, the possibility of an entire civilization coming and going in the time of one Benoit Pioulard song a real possibility, a dreamy sort of time-lapse world. After the final flourish of Hymnal highlight “Margin”, Meluch dedicated the final song to his “recently deceased grandparents,” letting the homey, well-worn guitar and his angelic vocals coat the room. 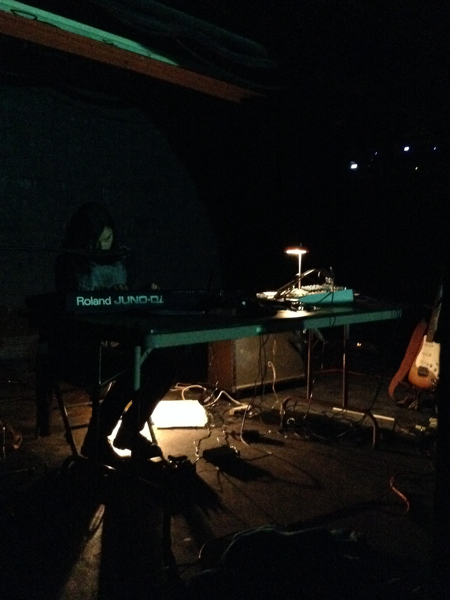 In the process of thanking the label and the musicians he shared the bill with, Meluch noted that Grouper’s Liz Harris would probably come out and outdo them all. Quite tellingly, Harris’s process of outdoing the bill came by narrowing all of the focus down, tearing away any unnecessary element that might distract from her fragile songs and dense atmospheres. There were no video screens, no light projections. Even the relatively small stage was further shrunk, curtains pulled in tight to leave a visible square large enough only for the width of the tableful of tape recorders, mixer, lamp, and synth that Harris would require. A Harris set would necessarily, then, be small in its point of “attack,” the person behind the dream less important than the dream itself. Grouper’s material is shrouded in mystic delay, a slow-drifting river of iridescent beauty in which occasional songs would float by. 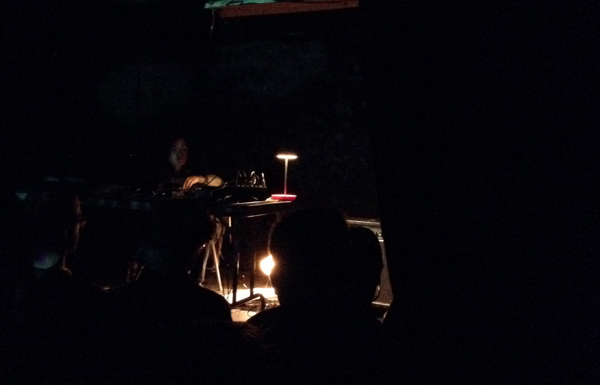 The evening’s set followed that same pattern, Harris activating tape loops on a few recorders, blending the chilled atmosphere until any point of origin disappeared, all rounded edges and haunting, graceful beauty. At every appropriate moment, Harris would turn to the keyboard, dole out a few simplistic, effective ripples, whisper out a lithe layer of vocal cloud, and then return to the recorders. In order to keep everything soft and at a mysterious, pensive distance, Harris sang from a foot or two away from the microphone, barely moving. Live as on record, though, that space was filled by a magnetic pull in her direction. 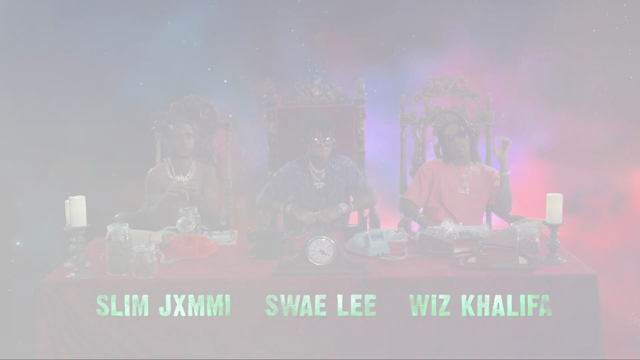 The most powerful fragment of melody to buoy into sight was the semi-title track 2011’s sublime AIA: Alien Observer, Harris herself drifting further into the mix than on the album, the room following her into that shimmering world. The set ended, Harris walked off the stage without a word, and stepping out into the soft snowfall of the Chicago evening felt right, the streetlights a little warmer, the empty tree branches standing a little more starkly against the moon, myself a little more aware of the visible breath escaping into the chilled night.